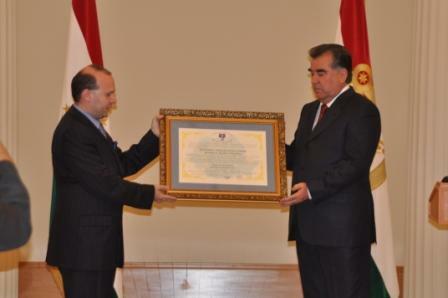 Between 24-30 August 2011 a delegation of European Council on International Relations ( E.U.C.I.R), headed by Professor Dr. Anton Caragea was invited for an official working visit by the Government of Republic of Tajikistan. 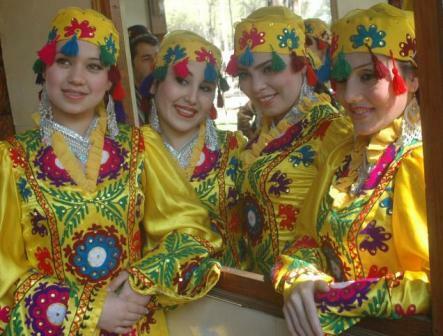 The visit had being concentrated on developing the bilateral Europe -Tajikistan relation and it was the most important invitation addressed by Tajikistan authorities for an European Union delegation , a moment that was considered as historical in developing the relation between the two countries. 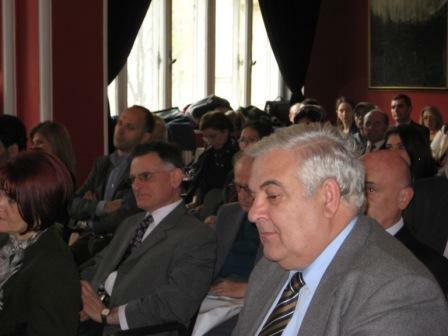 In the framework of dialogue where included subjects such as : tourism and transport cooperation, supporting hydro-energy sector development in Tajikistan with instructors, specialists and European material , taking in consideration the extensive European experience in the field . 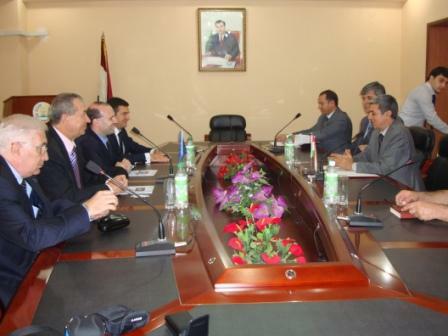 Other discussion where held on topics like: opening in European country a branch of National Bank of Tajikistan , tajik investments in tourism sectors in Europe , import of aluminum from TALCO factory –the biggest aluminum factory in Tajikistan . European delegation headed by Professor Dr. Anton Caragea, President of European Council on International Relations ( E.U.C.I.R) was received in official audience by H.E. 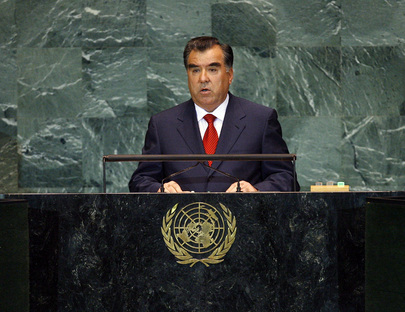 President Emomali Rahmon of Tajikistan. 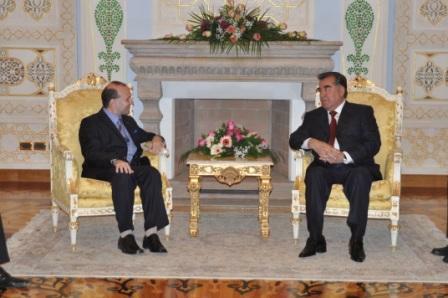 The president of Tajikistan had mentioned that his country is in a moment of economic development, social development and democratic construction, that makes Tajikistan to be interested in economic and political cooperation with other countries and he considers as a privileged partner for this development European Council on International Relations . 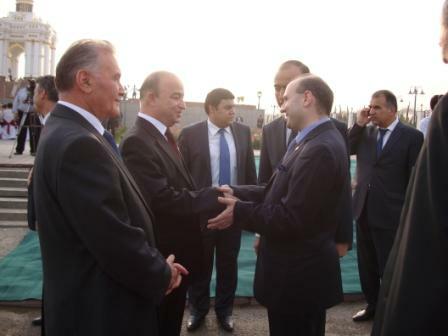 Professor Dr. Anton Caragea, President of European Council on International Relations ( E.U.C.I.R) had expressed his gratitude for the impressive welcoming organized for European delegation and appreciated that Tajikistan had succeeded in overcome the economic crisis, to build impressive energy projects such Rogun hydropower plant and to be a supplier of security and stability in the region and an example in the region. 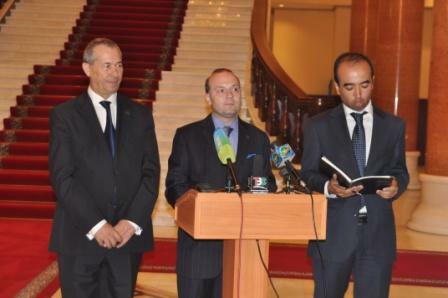 In the framework of the meeting, in an impressive ceremony , Professor Dr. Anton Caragea , President of European Council on International Relations, bestow in a public ceremony, the most prestigious cultural and political award of Academic Committee of European Council on International Relations : LEADER OF XXI CENTURY AWARD to H.E. 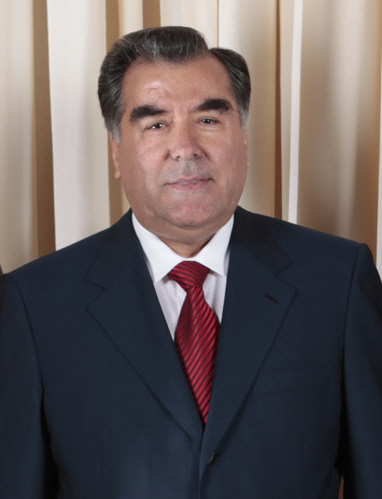 President of Tajikistan – Emomali Rahmon . 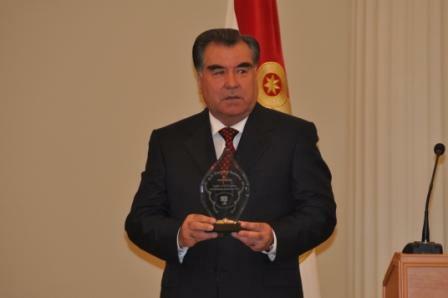 The ceremony was lived broadcasted by national and international channels and attended by members of Parliament and Government of Tajikistan. 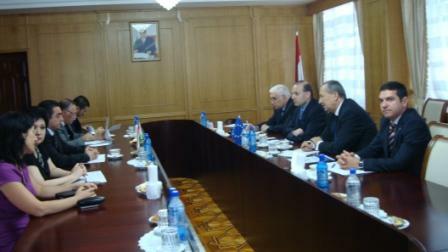 In the framework of discussion held at Ministry of Foreign Affairs of Tajikistan, with H.E. 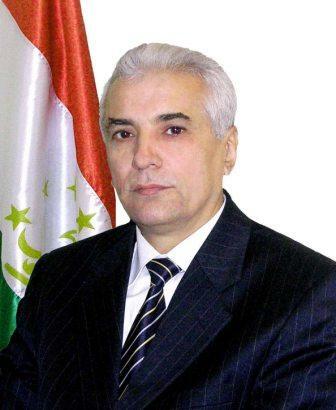 Minister Hamrokhon Zarifi, the parties had agreed of a calendar of concrete cultural and academic exchanges program for 2011-2012 and set up the details for a Bilateral Economic Forum and a Tajikistan-Romanian Chamber of Commerce. 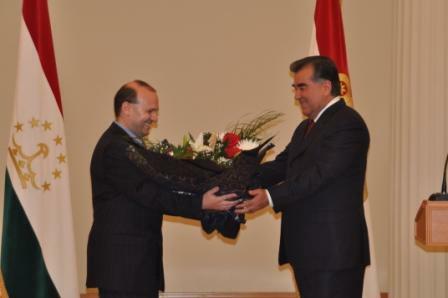 The delegation headed by Professor Dr. Anton Caragea also sustained detailed and fruitful discussion and finalized agreements with Minister of Energy and Industry Mr. Sherali Gul , Minister of Investments , Minister of Tourism and Sport Mr. M . Nematov and Minister of Economic Development and Trade, Mr. Farukh Hamraliev. 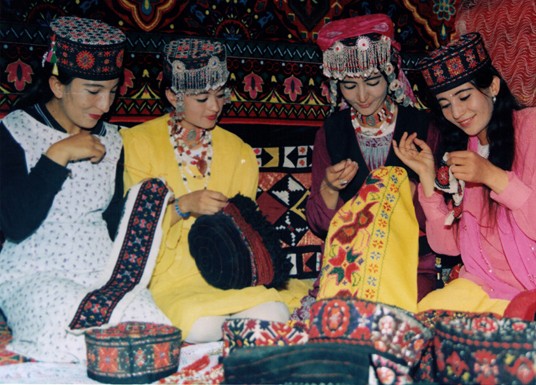 In the visit program, a consistent cultural interlude was provided to European delegation, including visits to Hissar Fortress (UNESCO Heritage site- XI century), cities of Tursunzade, Kulyab, and Monuments dedicated to Great poet Mir Said Homodoni and Hulbur Fortress. 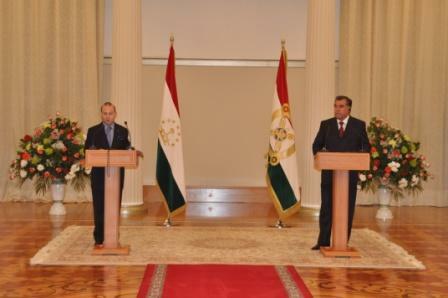 Concluding the visit, in a press conference, Professor Dr. Anton Caragea , President of European Council on International Relations ( E.U.C.I.R) had appreciated that Tajikistan is offering to the world an example of an economy in full development , with impressive hydro power projects like Rogun that will benefit the all Central Asia region and beyond, with plans to exploits ore and precious stones mining fields that will make Tajikistan an attractive economy in full development , key elements that are underlined by a democratic and stabile political climate.